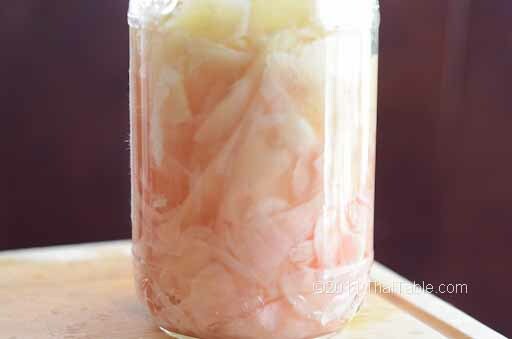 Pickled young ginger is easy to make and pleasing to look at. This pickled ginger is the same ginger that you see accompanying sushi. 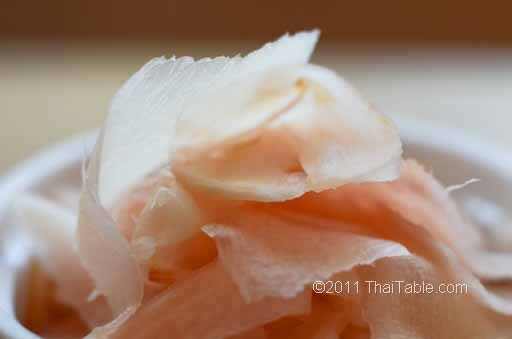 In Thai cuisine, pickled ginger accompanies many dishes from appetizer to main course. Young ladies at the royal court showed their prowess by carving the ginger prior to pickling. They would make beautiful animals, flowers, leaves, bouquet and boats. I'm just happy to cut it super thin without cutting myself. 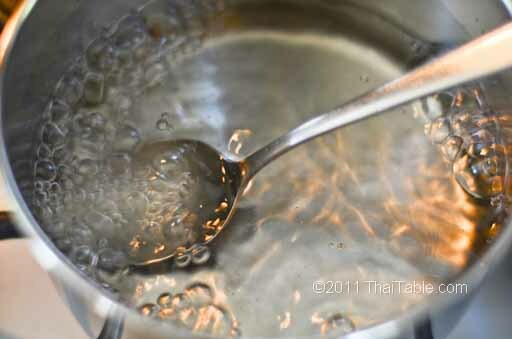 Add vinegar, sugar and salt to a small pot. Let it dissolve and boil. Turn off the heat and let the vinegar solution cool while you peel and slice ginger. Peel the dark spots away. If your ginger is so fresh, you may only need to rinse and scape bad spots out. 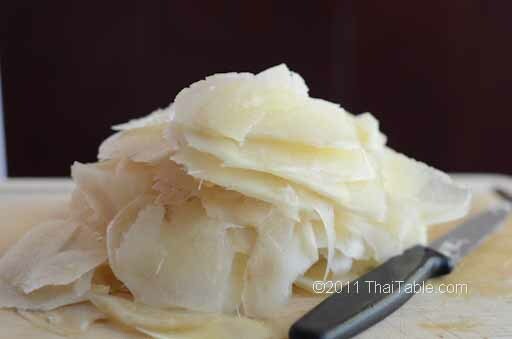 Slice the ginger very thinly at 45 degrees along the length to get large pieces. 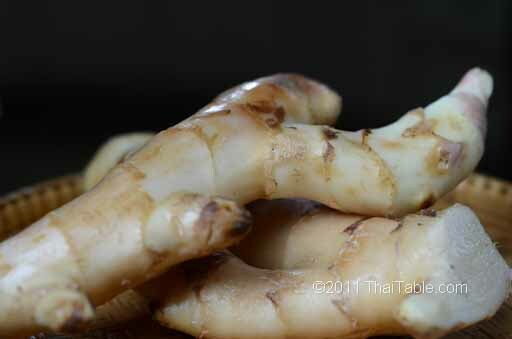 There are fewer fibers in young ginger; the texture is very similar to a potato. 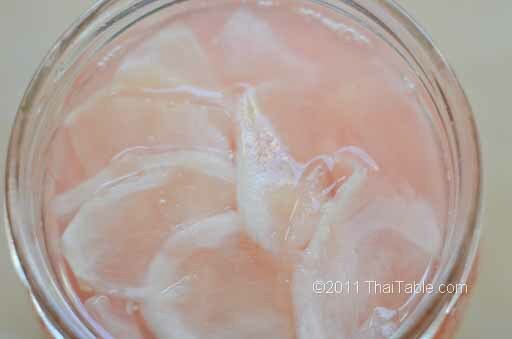 Pack the sliced ginger loosely in a jar and add the cooled vinegar solution. You will see the ginger change its color to pale pink within a minute. The color will get darker but not quite pink like in the restaurants. The ginger is ready for eating within a few hours but it may be too hot. As it sits, the heat from ginger will dissipate. Keep in the refrigerator for up to a year.